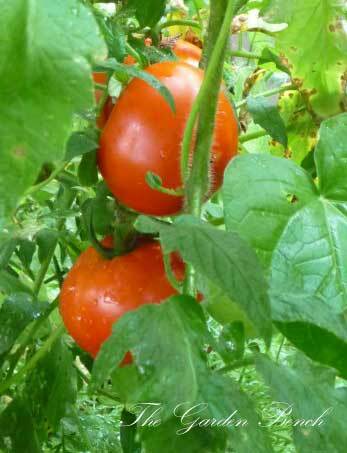 The tomatoes I grow ripen nicely and come off the plant easily, but when I cut them to use, the flesh is white and firm. Can you advise? It’s certainly disappointing to cut into what appears to be a ripe tomato and find it still white or green inside. Garden experts suggest several possible causes, including nutrient deficiencies in the soil, insect damage, or even adverse weather conditions. There is a condition called “Tomato yellow shoulder disorder” that is described at the Missouri Botanical Garden website as “the area around the stalk remaining hard and yellow or green with internal white or green tissue.” A likely culprit, they suggest, is low potassium level, low organic matter or high pH of the soil. Have your soil tested to determine if that’s the case, and make adjustments based on the results to avoid problems in the future. Weather may also play a part as the temperature drops. Other causes for blotchy tomatoes or fruit that ripens unevenly may include soil that is compacted or too wet, an infestation of whiteflies or stink bugs, or a viral disease. Finally, different tomato varieties ripen in different ways, so be sure to know what to expect when you choose varieties to plant. The Missouri Botanical Garden has an excellent visual guide of a variety of tomato problems here.